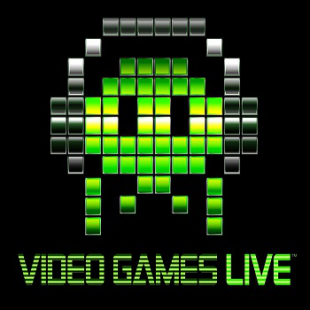 Video Games Live's Kickstarter has passed its $250,000 goal. Back in August, Video Games Live and its creator, Tommy Tallarico, launched a Kickstarter campaign to fund the production of its next album Level 3. With a goal of $250,000, the campaign aimed to cover the costs of recording the new record, which would include "a 72 piece orchestra, 60+ persona choir, and a 'rock band' made up of world famous game composers." Now we're happy to report that, with just a few days left in its countdown, fans have rallied and pushed the funding campaign past its goal. "We're going to hit our goal," exclaimed Tallarico just prior to the fundraiser's success. "KICKSTARTER ACHIEVEMENT UNLOCKED!" The campaign's triumph means that Tallarico and company will be able to produce Level 3 in a studio, a change from past albums which had been recorded live. Over the course of the Kickstarter's run it was revealed that the music on the album would include arrangements from Street Fighter II, Monkey Island, Tetris, Silent Hill 2, Shadow of the Colossus, Beyond Good & Evil, Journey and Skyrim among others. If any of these piques your interest and you feel like showing your support, the Level 3 Kickstarter is still running for about another day. Its current total funds, as of this writing, stand at $257,476.